Penn At Lehigh Game Breakdown and Fearless Prediction: How Much Do We Really Know About The Quakers? We break down the Penn game – and we give our fearless prediction, below the flip. Last week, head coach Andy Coen made a big deal about the many changes Yale made to their approach on both offense and defense. Penn will not have the same element of surprise this week – to some degree. Certainly Penn head coach Ray Priore, who has his main staff intact from last year with offensive coordinator John Reagan and defensive coordinator Bob Benson, will likely have a similar approach to what they want to do on both sides of the ball from last season – after all, they were Ivy League co-champions. But last week wasn’t a normal type of opener for the Quakers. Playing a Division II school for the first time in program history, Division II Ohio Dominican allowed Penn to play a sort-of experimental setup. Though Penn got a win that counts in the standings just like any other win, 42-24, using it as a hard and fast rule on how they will come out against Lehigh might be a big mistake. Last season, there were two iconic games that set the tone for the Lehigh football season – one a tough loss, the other a tough victory. The first iconic moment was simply called “the Monmouth game” – the season-opening game where the Mountain Hawks started out slow, allowed the other Hawks to build up a double-digit lead, and after a furious comeback, Lehigh came up just short. Lehigh had multiple opportunities to seize control – but didn’t. It threatened to become the narrative that defined the season – that is, until the second iconic game, which was simply called “the Penn game”, and also broke down to a specific moment – the end of the first half. 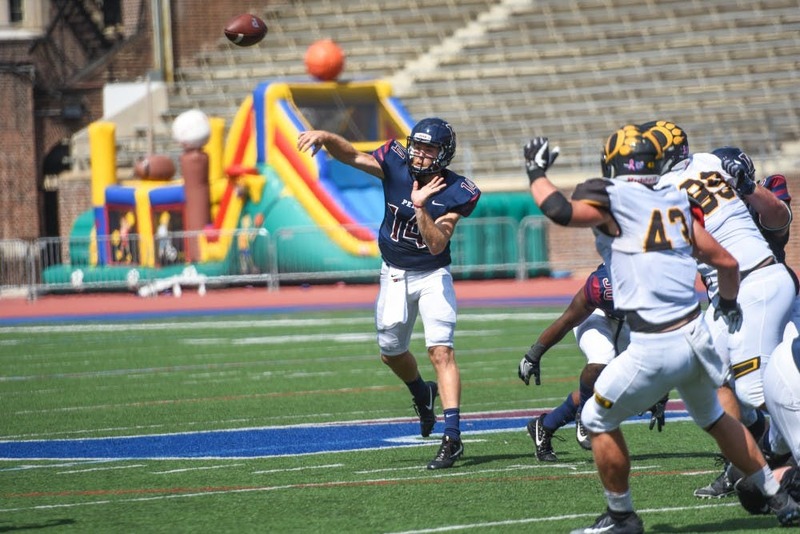 Penn QB Alek Torgerson and the Penn offense had torn through the Lehigh defense like a hot knife through butter. Again. Nearing the end of the first half, the Huntington Beach, CA native lined up on a 4th and 1 play in the Lehigh red zone. Faking the handoff to RB Tre Solomon, he instead took it himself, running through an enormous hole on the left side of the line for a 8 yard touchdown run. The touchdown and extra point put Penn back ahead, 28-21, but with 1:14 left, and three timeouts, it wasn’t a question whether Lehigh was going to try to drive the length of the field to tie up the game, or at least try to cut the deficit a little. Head coach Andy Coen was going to try. Definitely. So the experienced senior QB Nick Shafnisky took the field, knowing what needed to be done – the same thing that Lehigh’s offense had already done three times in the same half – drive the length of the field and make something happen. But that was just it; the fans were in the stands, doubting. They had seen this Lehigh team twice this year already, on the brink of turning things around, but coming up short. All this Lehigh team needed was a stop against Monmouth, they said. Nope. All the Mountain Hawks needed was to convert that 4th down and 10 against Villanova, they said. They got eight and a half yards. They had seen this last season, too. Lehigh had the ball first and goal against Colgate, ready to tie the game near the end of a game that would have given them a chance at a Patriot League championship. On 4th down, a few yards from the goalline, the pass would be batted down. The Raiders won, clinching at least a share of the Patriot League championship. Why should this critical drive be any different? Why wouldn’t it also be a dollar short, like we had seen before? The funny thing is, it wouldn’t be a dollar short, a stop short, a yard short, a second short. It would get exactly the right number of yards and, with 0.3 seconds left, either a touchdown or nothing the result, the Lehigh offense did not end up getting stopped short, and in so doing seemed to do a lot more than simply tie the game. 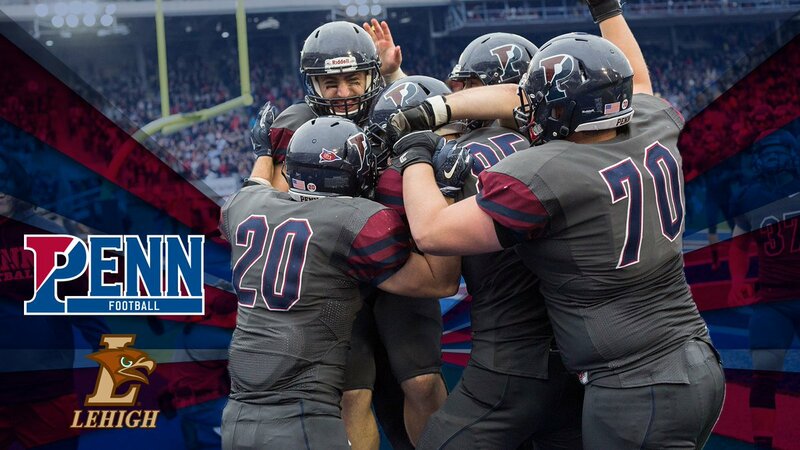 Lehigh At Penn Game Breakdown and Fearless Prediction: Can Lehigh Win At Franklin Field? It sometimes is tough for coaches and media types alike to preview teams that haven’t played a single down, and with the volume of Ivy League opponents Lehigh and other members of the Patriot League face, the Mountain Hawks get more than their fair share. Last season, much was made of the fact that head coach Ray Priore and a huge hunk of brand-new staff were competing together in their very first college football game together, a fact that unquestionably helped Lehigh out in a 42-21 win over the Quakers. This year, though, to some degree the tables are turned. 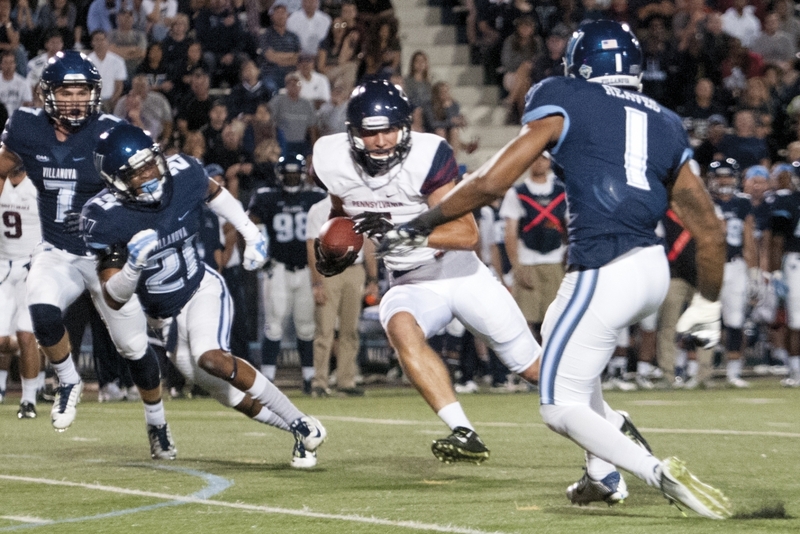 With a full year under their belts – and an Ivy League championship year, at that – the Quakers will be not at all like the inexperienced bunch that Lehigh played last year. They’ve had one year in the system, one year knowing the expectations, one year going through the drills.